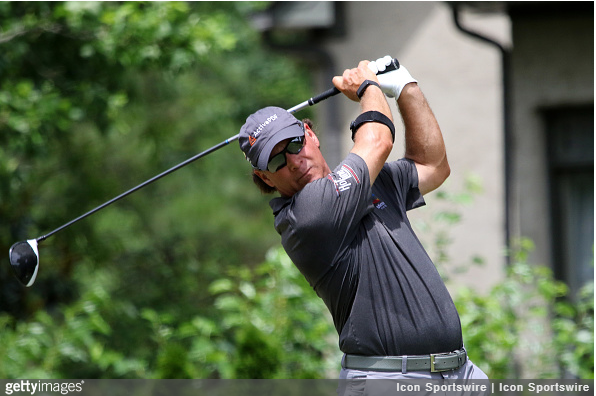 Scott McCarron posted a final-round 3-under 67 to edge Miguel Angel Jimenez by one stroke and capture the Shaw Charity Classic at Canyon Meadows. McCarron entered the par-5 18th two up on Jiminez. After the Spaniard made birdie to cut the lead to one, the 52-year old McCarron walked up and calmly holed a 3-foot par putt for his fourth win of the season. 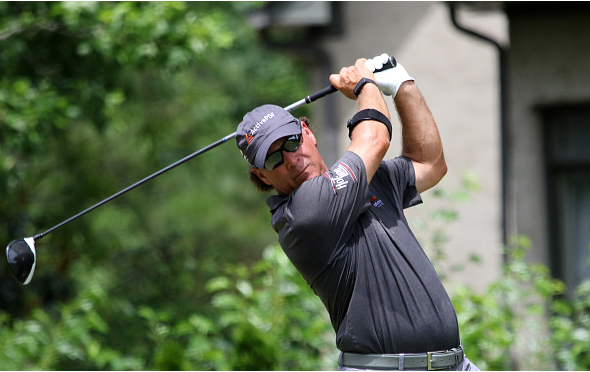 Former British Open winner Todd Hamilton (67), along with Kevin Sutherland (68) and Scott Dunlap (67) tied for third at 13 under. McCarron earned $352,500 and is firmly entrenched in second place behind Bernhard Langer in the Charles Schwab Cup race.